RMS Titanic departing Southampton on April 10, 1912. As investigators try to get to the bottom of the transportation tragedies involving Boeing 737 MAX jets, we come once again to the anniversary of another transportation disaster. In the early morning hours of April 15, 1912, Titanic, which had struck an iceberg less than three hours before, sank beneath the waters of the North Atlantic. Fifteen-hundred-thirteen lives were lost. Some of them, and some of Titanic's 703 survivors, had ties to Maine. 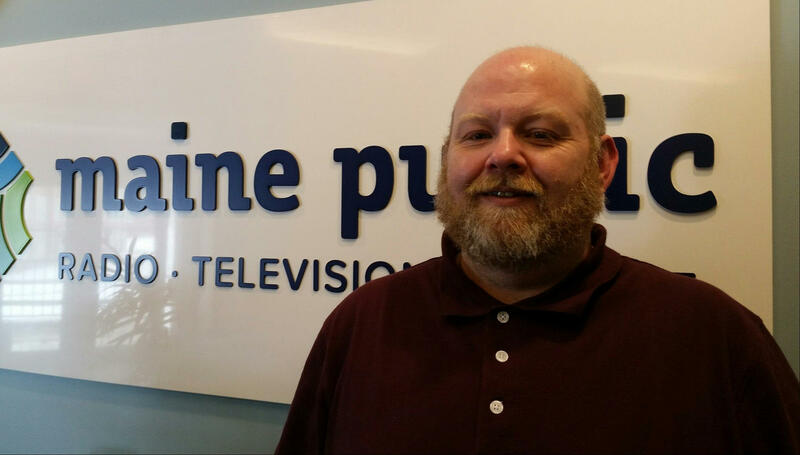 GRATZ: And author Mac Smith will be talking about them Tuesday in Damariscotta. He joins me now from our Bangor studios. Mr. Smith, thank you. Good morning. How many of those lives were connected to Maine? There were about 14 parties from Maine aboard Titanic. Seems like everybody has a story that they had a relative aboard, and I just wondered if there were a lot of Mainers. And I went to Fogler Library in Orono and researched the state’s newspapers from that time and found about 14 different parties that were aboard the ship. 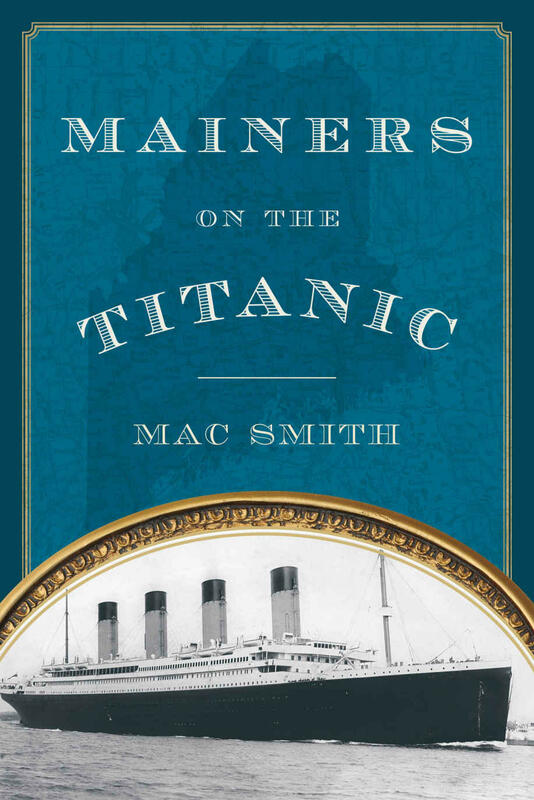 "Mainers on the Titanic," by Mac Smith. How many of them perished, how many of them survived? Generally, the men in these parties did perish in the sinking, and generally the women in these parties did survive. One of the more interesting people - families - it was Percival and Richard White who were father and son from Brunswick. And Richard was a college student at Bowdoin College and he was very studious young man and had completed his studies a semester early. And his father's reward for his son's hard work would, ironically, be a ticket aboard Titanic. Both men would perish in the sinking, which left Percival's wife Edith, Richard's mother, at home in Brunswick wondering what her family's last moments were like, and she would send out a flyer to all the first-class survivors looking for any information that she could regarding her family. As far as you know did you ever find anything out? She did get some responses back, and it basically told a tale of her husband and son spent their last minutes loading the last of the lifeboats. One woman credits her and her mother's survival to the Whites because they had a bottle of wine with them and they shared that wine with these two ladies. And she said that's what kept herself and her mother fortified in the lifeboats until the rescue ship came. I was able to talk to Percival's great granddaughter, Lucy Sallick, who spent a full day showing me family mementos and documents and things. Some of the more interesting stories are in what happened to some of these survivors when they came back to Maine. Madeline Astor - she was part of a group of about six summer colony residents from Mount Desert Island. She was 19 when she married Col. John Jacob Astor, who was in his early 40s. And he was divorced, and their marriage was quite a scandal. Col. Astor died in the sinking and young Madeline Astor survived. And she had been pregnant aboard the Titanic and whenever she would appear at one of the country clubs, large crowds would form outside the different buildings. They wanted to get a look at her or a picture of her newborn son. Mac Smith, author of "Mainers On The Titanic." did what lessons did you draw from Titanic? These people had about two hours once the ship hit the iceberg to face their destiny. And it just reinforced to me how precious life is. One reason I put this book together is that these stories and this information is being lost over time, and that's because there are no survivors from Titanic left. Do you still find audiences as interested in Titanic now as, say - I don't know - 10 or 20 or 30 years ago? The Titanic- It's just one of those timeless stories of man's discovering that nothing is unsinkable, that something will get us in the end one way or the other. Has it ever discouraged you from traveling by, perhaps, more exotic modes of travel - say today's modern airplanes? I did go to to Halifax, Nova Scotia, to do some research and it was back when the Cat Ferry was running out of Bar Harbor in the early 2000s. And I have to say I was quite nervous on that trip just because of the research I had done. And it was a perfectly fine trip across the ocean, but I stayed right close to the exit where I knew the lifeboat was toward. It was fun talking to you, and thanks for coming in. Really appreciate it. Oh, I appreciate your time and your interest.